Why we love handmade, and what's so great about our socks! You are here: Home ›	Blog ›	Why we love handmade, and what's so great about our socks! The thing about something you have made for you, whether a suit or a sock is that it should fit you. We don't claim to be Savile Row tailors, but we do make all our socks and stockings to your measurements, so they fit - there is no small, medium or large here! If you wear a size 9 shoe then your sock should also be a shoe 9. 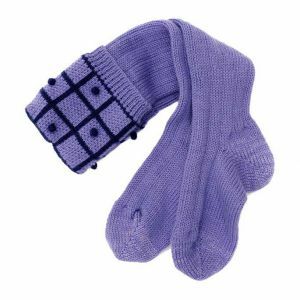 A sock which is too small will rub through on the heel because it is stretched, and as we all know, there is nothing more irritating than having rolls of excess sock flapping round your shoes, and under your toes! The fact that they fit you is one of the main things that make ours last so much longer than everyone else's. We also put a reinforcing thread through the toes and heels of all our socks and stockings for added strength. The toe reinforcing seems to be particularly useful for those who have a problem with the nail clippers, disgusting I know but it does seem to be an issue (mainly for men!). Pedicures are obviously not high on the list of things to do for many of our male customers. No male members of my family have ever been anywhere near any sort of pampering facility and would be horrified at the mere thought..they would rather go out and chop down trees or something equally manly!